KUALA LUMPUR, Malaysia, April 19, 2017 – The launch of KKday, Asia’s holiday expert and leading online travel platform in Malaysia today is celebrated with an exciting #flywithpama campaign. The launch of KKday is officiated by KKday Chief Executive Officer Mr. Ming Chen, who will be presenting the #flywithpama campaign in celebration of its much-awaited debut in Malaysia. This campaign will feature KKday’s travelling expertise by rewarding one lucky winner who will get to bring along three family members to experience a memorable five (5) days four (4) nights vacation in Taiwan. Headquartered in Taiwan, KKday is Asia’s leading travel experiences platform that provides users with local travel experiences from all over the world. Since its official launch in 2014, KKday has expanded to Hong Kong, Korea, Japan, Singapore, Thailand and now, Malaysia. The start-ups primarily focus on destinations in Asia, but have also extended to Europe and America, providing travellers with over 6,000 travel experiences from 53 countries and 170 cities all over the world. “Setting up bases in South East Asia was a natural decision. 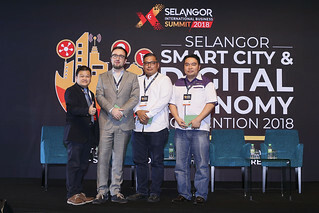 Besides being the gateway to the rest of Asia, the booming travel and tourism industry in the city has also put KKday in an ideal position to launch here in Malaysia,” said Ming Chen, CEO of KKday. Based on recent statistics, millennials (25 – 34 years old travellers) make up about 55% of KKday’s users and the campaign attempts to reach out to wanderlusters in Malaysia who are active users of social media. Through this #flywithpama campaign, KKday will highlight the services and objectives held by KKday which reflect the company’s ethos. What is the #flywithpama social media campaign all about? Have you come to realise that the syllables “Pa” and “Ma” were the first ones we learned to utter? “Pa’’ and “Ma” undoubtedly are the closest to us and they are the only ones who have cared for us since the day we were born. But, do we think of “Pa” and “Ma” as frequently as they think of us? In conjunction with Parent’s Day 2017, KKday Malaysia is launching the #flywithpama social media campaign to urge the public to be more caring and spend more quality time with their parents. KKday will be sponsoring an all-inclusive trip to a lucky winner who will get to bring along three (3) family members to Taiwan! The exclusive packages includes four (4) return flight tickets to Taiwan, five (5) days itinerary in Taiwan customised by KKday, accommodations, airport transfer and travel insurance sponsored by Tune Protection. The #flywithpama social media campaign is now open to all Malaysians. To participate, submit a message expressing your love for your parents to http://event.kkday.com/zh-tw/campaign/flywithpama. Participants also need to like KKday’s Facebook page and share the message on their social media by using the hashtag #flywithpama and #travelwithKKday before 19 June 2017. Stay tuned to KKday’s Facebook page where the most heartfelt message will be chosen and announced. The winning participant will get to enjoy a family trip with three (3) family members, sponsored by KKday between the months of June and November. The sponsored trip will bring the winning family around Northern Taiwan to explore the spectacular sceneries and traditional villages in Jiufen, Shifen and Yehliu. Hualien’s most iconic spots such as Qixingtan Beach and Dongdamen Night Market will also be the highlights of the trip. Not to forget, the winning family will also be able to enjoy a hassle-free Taipei 101 experience at an exclusive discount offered by KKday. 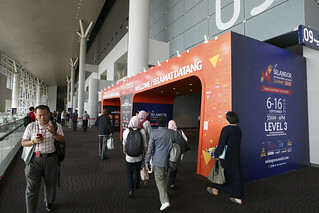 For more information, visit www.kkday.com or https://www.facebook.com/KKdayMalaysia/. 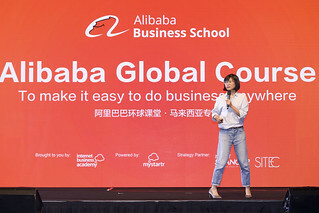 Launched in 2014 and headquartered in Taiwan, KKday is the leading E-commerce platform allowing users to connect with local tours from all over the world. Believing that authentic experience is the core value of “Traveling”, KKday has collected more than 6000 worldwide experiences from our processional providers and unique local experts. We are passionate about travel and love to create unique travel experiences for you, with the aim to provide our travel lovers an even more wonderful and unforgettable experience in KKday.